Goatmoon is a one man black metal band from Lappeenranta, Finland. Goatmoon was created in spring 2002 from the ruins of BlackGoat’s old band Count Lähde(-99). First recordings BlackGoat made by him self, but in some point of summer ‘02 joined drummer T. Bloodvengeance, who played on the half of songs on the first demo. On the early winter of ‘02 Bloodvengeance left the Goatmoon. 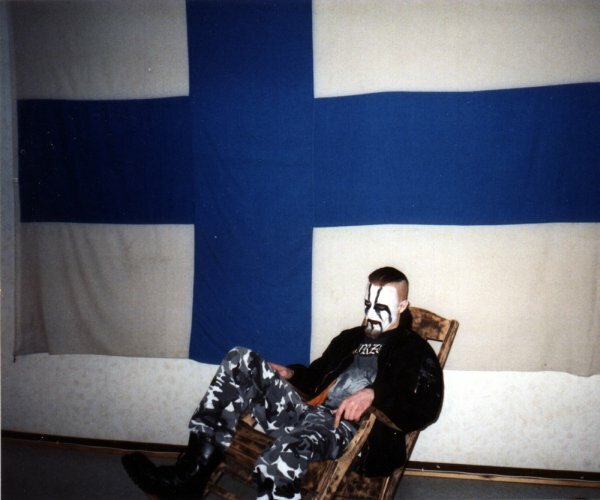 BlackGoat has recorded six demos by himself during the years 02-05. First full length album was brought to moonlight late winter ’04 released and distributed by Werewolf records.